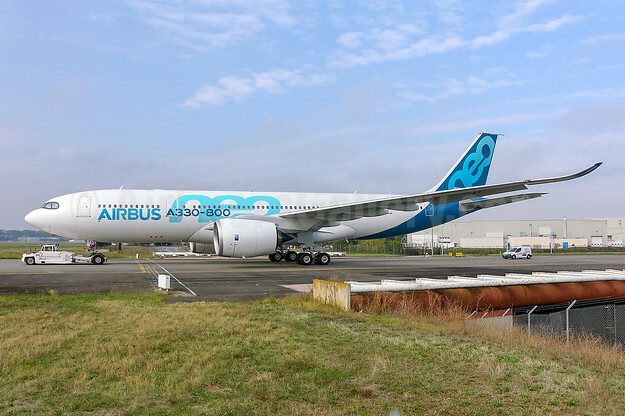 The first Airbus A330-800 took off this morning (November 6) at Blagnac in Toulouse, France at 10:31 am local time, for its maiden flight taking place over southwestern France. The aircraft, msn 1888, will perform the dedicated flight-physics tests required for this variant. Above Copyright Photo (all other images by Airbus): Airbus A330-841N F-WWTO (msn 1888) TLS (Eurospot). Image: 944290. This entry was posted in Airbus and tagged Airbus A330-800, Airbus A330-841N, F-WWTO, msn 1888 on November 6, 2018 by Bruce Drum.